CD 5: Haydn: Symphonies Nos.101 & 88; Beethoven: Piano Concerto No.5 - "Emperor"
20. Fox-trot "Old Sir Faulk"
CD 22: Tchaikovsky: Suites From "The Nutcracker" & "Sleeping Beauty"
CD 30: Beethoven: Symphony No.9 in D Minor, Op.125 - "Choral"
. . . pioneering recordings . . . this latest Decca set captures the work of the artistic and engineering team which spearheaded a revolution in the sound-reproducing quality of the gramophone.
. . . a range of great musicians, from Wilhelm Backhaus in Brahms, to Sir Adrian Boult conducting English music. There are also some of Georg Solti's earliest albums, and other memorable stuff from podium giants like Erich Kleiber . . . Treasure trove indeed.
. . . a treasure trove of exemplary performances . . . Long gone are the many, many artists who live on in their performances documented by Decca, always in technology ahead of state of the art. The hi-fi era was ushered in by Decca's ffrr recordings. There are countless legendary musicians included on these discs . . . The brilliant Spanish conductor Ataulfo Argenta . . . leads a wonderful disc devoted to Spanish composers. I could go on and on . . . this is a great bargain.
. . . included in this brilliant, quite remarkable collection is Ansermet's 1949 recording of "Petrouchka" . . . along with some of the finest performances in the Decca catalog . . . "Decca Sound: The Mono Years" is a generous, and plentiful treasure trove for everyone who loves the history of recorded sound . . .
. . . [here we have these recordings back again,] and sounding a lot better than they ever did before . . . [it is difficult to choose just a few highlights; nearly everything included] features world-class artists in top form . . . [those featuring Eduard van Beinum are of special interest. Van Beinum] could galvanize an orchestra in a very wide repertoire. In this set, we have wonderful performances of works by Britten, Bartók, Diepenbrock, Pijper -- his superb Symphony No. 3 -- and Brahms . . . [chamber music from the Quartetto Italiano offers] some very beautiful Schumann and Verdi, and the Vegh Quartet providing unique insight into music by Schubert and Smetana . . . and Knappertsbusch reminds us what a commanding conductor he could be in Bruckner's Symphony No. 3 . . . [violinist Alfredo Campoli] is superb in the Elgar Violin Concerto (Boult conducting) and alternatively charming and virtuosic in smaller pieces by Kreisler, Wieniawski and others . . . Many of these recordings are "one-of-a-kind" treasures, never to be equaled, let alone surpassed, no matter how advanced the technology.
. . . sumptuous . . . a collector's dream . . . the selection is a good mix of old known and rare material. The reccordings for the most part carry their years lightly, sounding sharp, open and remarkably clear.
. . . the excitement generated by this one rests squarely on its artistic value. Not that there's anything wrong with the sound . . . Special mention should be made of Ansermet's vivid 1949 account of Stravinsky's "Petrushka" with the Geneva-based Orchestre de la Suisse Romande . . . Clifford Curzon, who set benchmarks for elegance and eloquence, offers those virtues in his 1953 recording of Brahms's First Concerto . . . two discs headlined by the Italian-born, English violinist Alfredo Campoli should be required listening. His cogent and heartfelt 1954 performance of Elgar's Concerto remains unsurpassed, and no assortment of Fritz Kreisler bonbons, including the composer's own, evinces sweeter tone or greater charm than the one here . . . One could say this box offers an embarrassment of riches. But why be embarrassed? 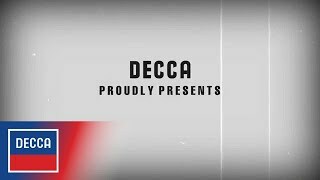 Decca deserves only praise for fulfilling the long-held wishes of its core customers -- and in such grand fashion, too. And collectors needn't feel abashed at finally getting at least some of what they've long awaited.
. . . this one is particularly packed with lost or forgotten treasures . . . Bonus cuts are especially rich, many originally issued on 10-inch LPs and lost in the shuffle of modern reissues.
. . . endless riches . . . [an] extraordinary 53-disc box set . . . Edith Sitwell and Peter Pears in "Facade," reciting Sitwell's clever and sinister poems set to William Walton's delicious dance music . . . and Erich Kleiber conducting Beethoven symphonies are just the tip of this fabulous cornucopia. Schätze für den Plattenschrank . . . FFRR ist top! . . . [Schallplatten mit berühmten bzw. heute leicht in Vergessenheit geratenen Stars und Könnern,] die auch vom Klangbild her weiterhin faszinieren. Eine großartige Dokumentation jener bis 1956 reichenden Mono-Jahre . . . Und was und wen kann man nicht alles wiederentdecken. Der wunderbare Mischa Elman spielt zusammen mit Georg Solti das Beethoven-Violinkonzert und Clifford Curzon mit dem Amadeus Quartett Klavierkammermusik von Mozart. Und neben Erich Kleiber (Beethovens 9. ), Knappertsbusch (Bruckner) und Ernest Ansermet (Strawinski) erlebt man nicht nur großartige Solisten und Ensembles wie den Geiger Alfredo Campoli und das Griller String Quartet. Das Repertoire entpuppt sich als eine tolle Fundgrube, die von den Streichquartetten von Ernest Bloch über William Waltons bizarre "Facade" bis zu Roussels "Le festin de l'araignée" reicht.
. . . plusieurs perles qui méritent évidemment l'achat . . . Les années mono de Decca (1944-1956) se révèlent historiques et précieuses . . . le mono Decca, de luxe! . . . [ce coffret DECCA] s'inscrit dans les précédentes rééditions particulièrement généreuses, véritables boîtes à merveilles où l'amateur ou le connaisseur détecte des perles inespérées signées par de grands chefs, d'autant mieux convaincants qu'ils défendent des oeuvres parfois peu connues voire inédites et ici enregistrées pour la première fois . . . C'est un cycle de documents historiques qui renseignent sur les débuts de l'ingénierie de l'enregistrement . . . les amateurs symphonistes pourront se délecter tout comme les amoureux du chambrisme concertant.
. . . [le coffret ouvrir en beauté,] sur le "Concerto pour orchestre" de Bartok par Van Beinum (1948) et surtout le "Pétrouchka" de Stravinsky par Ansermet (1949): sa mono vit et crépite comme jamais dans un espace que l'utilisation de micros "de cinéma" . . . A côté de disques bien connus (les premiers Beethoven de Gulda, les Mozart des Amadeus/Curzon, les Bartok et Kodaly de Solti, les Britten de Britten, les Brahms de Fournier/Backhaus, entre autres), on se régale aussi d'un grand nombre de raretés. C'est notamment le cas avec les quatre premiers quatuors de Bloch dans l'inestimable (et mythique) version des Griller, avec les Suites de "L'Amour des Trois Oranges" et du "Lieutenant Kijé" coloriées par Boult . . . La liste est d'autant plus longue que l'éditeur a pris soin de glisser à la fin de chaque album des bonus substantiels, tel "L'Empereur" par Backhaus et Krauss à Vienne. Des heures de pure délectation musicale et un sens de la (re)découverte qui rend ce coffret de loin plus désirable et indispensable . . . c'est vraiment à partir d'ici que toute la philosophie et l'Âge d'Or de Decca sont glorifiés, et c'est d'autant plus flagrant que les transferts de ces joyaux ont été accomplis avec amour et respect absolu . . . Plus que bien d'autres, ce bel objet est décidément une vraie source de joies musicales inépuisables et durables.